Home → News & Articles → What happens to all that grease from the rodeo? Deep-fried cheesecake. French-fried nachos. And all manner of curly, shoestring and chilli-laden French fries. 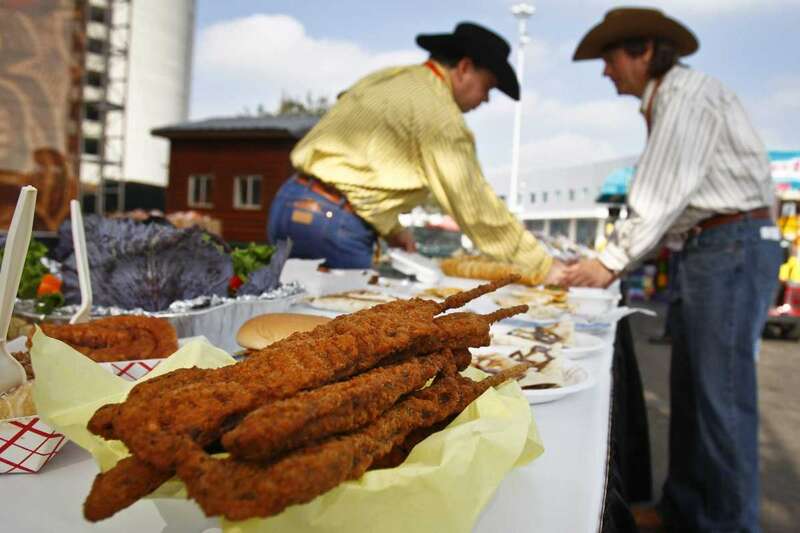 The Houston Livestock Show and Rodeo wouldn’t be the same without its deep-fried delicacies. But when the food vendors at NRG close their booths for the night, what happens to all the used cooking oil? One company is helping dispose of it in a way that’s better for the environment. Filta Environmental Kitchen Solutions, a Florida-based company that specializes in cooking oil filtration, is collecting hundreds of pounds of oil to either be reused or made into biofuel, an energy source. At last year’s rodeo, Filta’s Houston franchise filtered 44,010 pounds of cooking oil from more than 650 fryers and converted 33,580 pounds of cooking oil into biofuel from more than 500 fryers. Biofuel is an alternate energy source that is made from vegetable oils such as cooking oil that burns more cleanly than standard fuel, making it an environmentally friendly product. 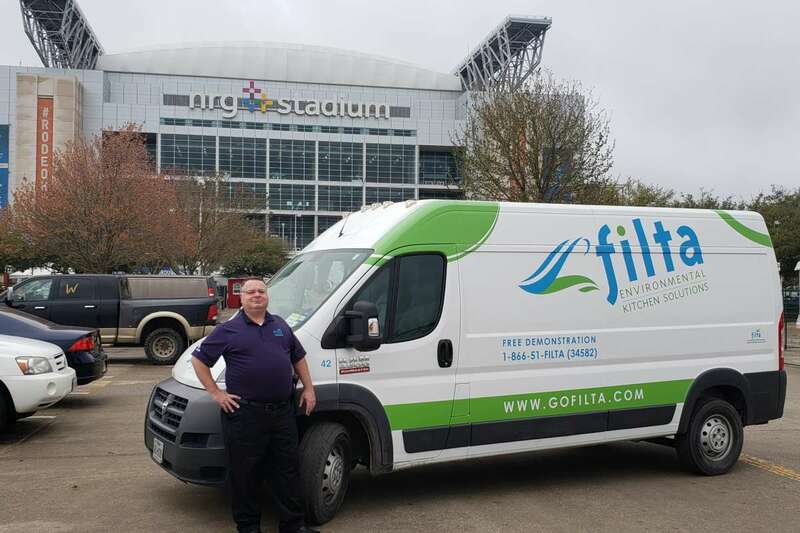 Filta Houston franchise owner Mike Powers said the company is used to supporting large commercial kitchen operations, but the rodeo requires a lot more time and manpower. “We usually take two or three days to service NRG Park after a full-scale event. For the rodeo, however, we actually staff up in order to complete NRG Stadium daily as well as continue servicing all of our other clients whose businesses, especially hotels and restaurants, increase during the event as well,” Powers said in a statement. This is the fourth year Powers has recycled cooking oil at the rodeo. Filta Environmental also services National Football League stadiums around the country. Mike Powers, Houston Filta Franchise Owner outside the NRG Stadium.